Hurricane Matthew is continuing to wreak havoc along the East Coast. Reports suggest that residents in North Carolina are currently being hammered by the storm. Governor Pat McCrory has stated that 10 people have died already and another 1,500 are stranded by a levee breach in the town of Lumberton. Rescue and relief efforts will undoubtedly continue as the storm winds itself down, but very real dangers will remain for some time to come. 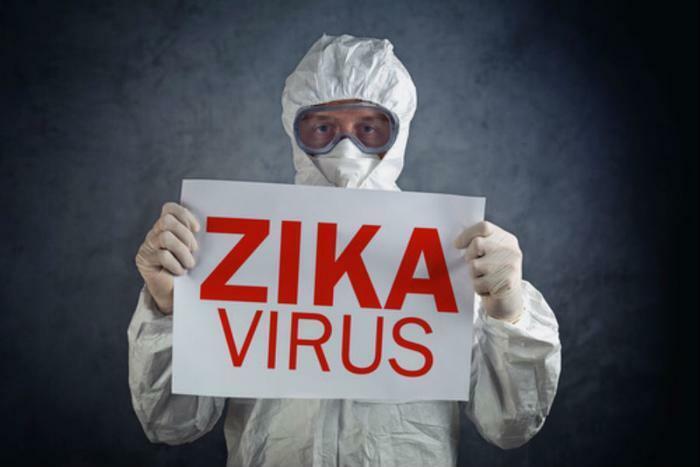 One of these dangers is the possibility that the Zika virus will be able to spread more easily in the coming weeks due to the accumulation of large standing bodies of water where mosquitoes can breed. “It knocks a lot of stuff down so you just have a lot more things in which the mosquito can breed. . . A damaged rain gutter, for instance, now becomes a rain collector. Every little object that blows off a house or even a chair flipped over on a porch becomes a container for mosquitoes to breed,” said Philip Stoddard, mayor of South Miami. The prediction of increased transmission rates is somewhat ironic, since storms like Matthew end up doing a lot of damage to the mosquito population. The strong winds and flooding waters wash away a large number of eggs and adult mosquitoes in the moment, but those that survive can wreak havoc in the aftermath. It’s a story that’s been seen before. In 2006, when Hurricane Katrina devastated Louisiana, Mississippi, and other Southeastern states, cases of West Nile Virus doubled in affected areas. A study conducted by the Centers for Disease Control and Prevention (CDC) attributed it to increased exposure from residents having to spend more time outdoors. “The immediate increase in cases may be attributed to increased human exposure to mosquitoes. . . Tens of thousands of persons in the hurricane-affected region were living in damaged housing or were waiting outside for days to be evacuated,” noted Tulane researcher Kevin A. Caillouët in the report. In the same way, residents who have been displaced by Hurricane Matthew or are working on rebuilding their homes may be putting themselves at risk. “So when you’re out there rebuilding your house, you’re not thinking about the mosquitoes that are biting at your ankles at the time. You’re thinking about getting your house back in order,” said Caillouët. CDC officials say that hurricanes and floods don’t usually lead to an increased spread of viruses because of the work of officials who curb mosquito populations. However, there are steps that consumers can take to lessen the risk of Zika transmission around their own homes. Homeowners are advised to drain any standing water sources in order to reduce mosquito breeding grounds. Also be sure to clean any clogged gutters or drains that may have been blocked by debris from the storm. Finally, if you’re going to be outside repairing damage, be sure to wear appropriate clothing that can protect you from mosquito bites. Re-applying insect repellant consistently can also provide an extra layer of protection. What is kratom and why does the government want to criminalize it?